Bonne and Clyde were famous for being from West Dallas, but each actually spent a good amount of time in East Dallas. Working. Earning an honest living. 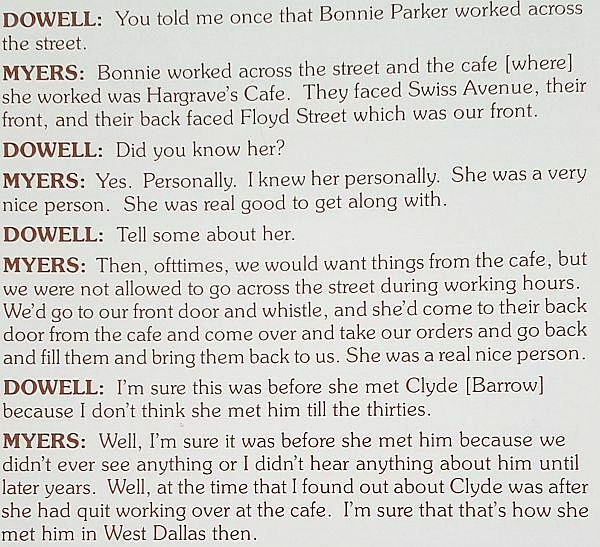 Bonnie worked as a waitress, and Clyde worked in a mirror and glass company. Both worked in establishments on Swiss Avenue, though probably at different times. 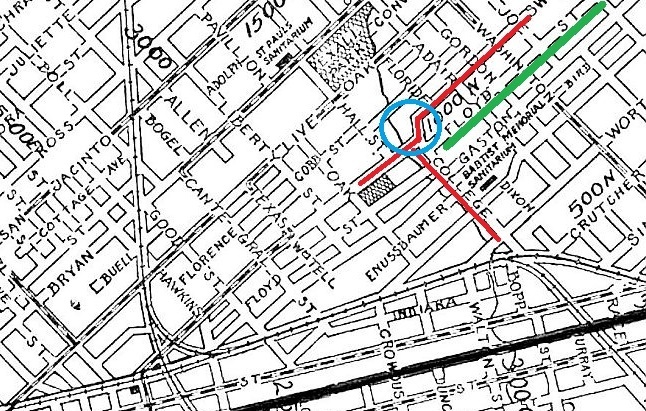 They hadn’t met yet, but it’s interesting to know they worked at businesses only a few blocks apart: Hartgraves Cafe was at 3308 Swiss, and United Mirror and Glass was at 2614 Swiss. Both buildings are still standing. 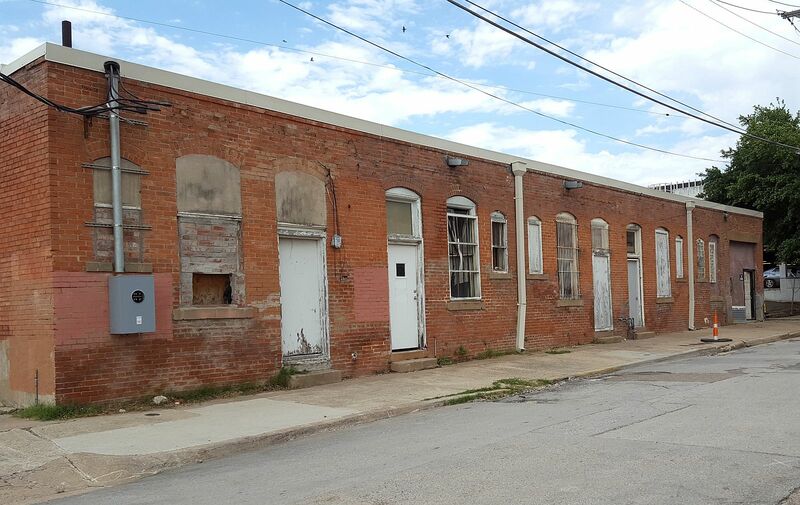 The laundry is long gone, but here’s what the back side of the building Bonnie worked in looks like today. 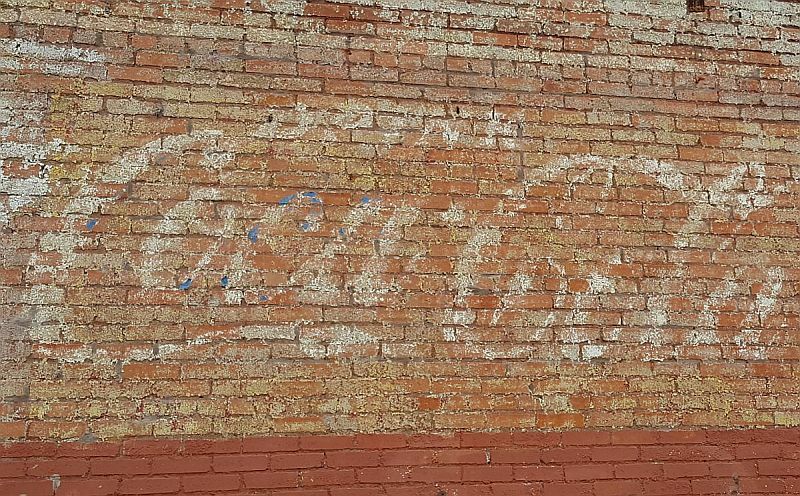 And here’s a Coca-Cola ghost sign, painted on the end of the building that faces Hall. 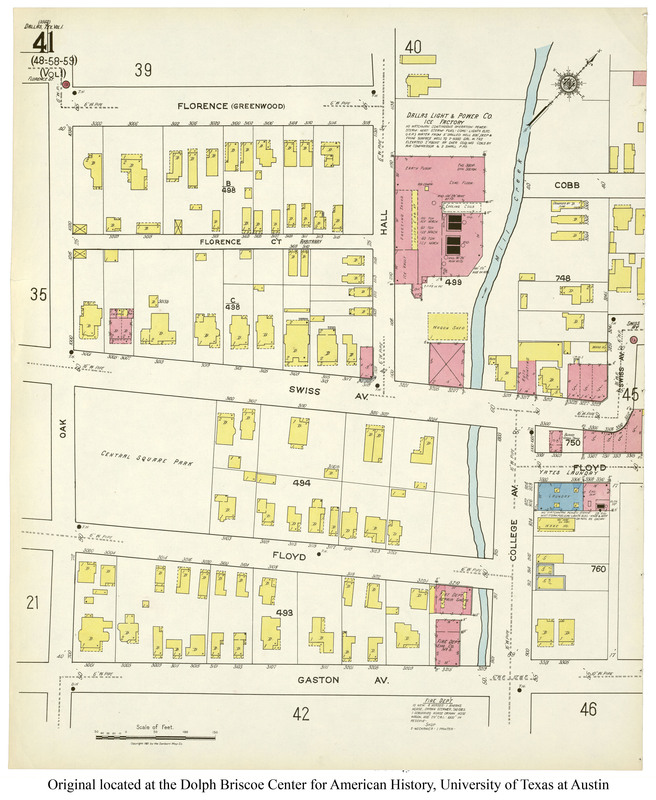 There’s a great view of the area in the 1921 Sanborn map here (with a different angle here). It may just be that the building was built to take advantage of/conform to the odd jog that Swiss Avenue takes in front of it. Here’s an aerial view from the recent past. But what about Clyde? 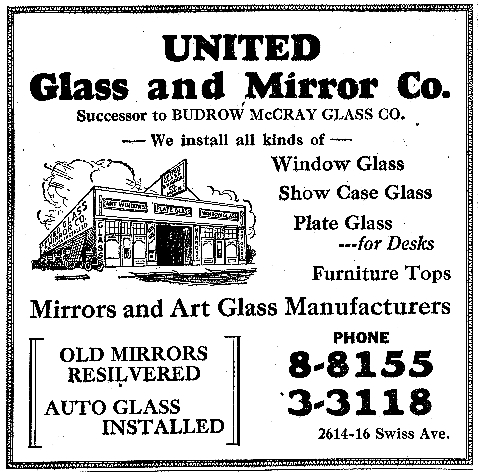 Clyde worked at a mirror and glass company four-tenths of a mile west. 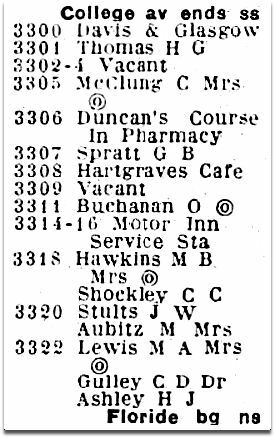 Here’s an ad from 1928 (the same year Bonnie was working at Hartgraves). The building still stands, almost unrecognizable. 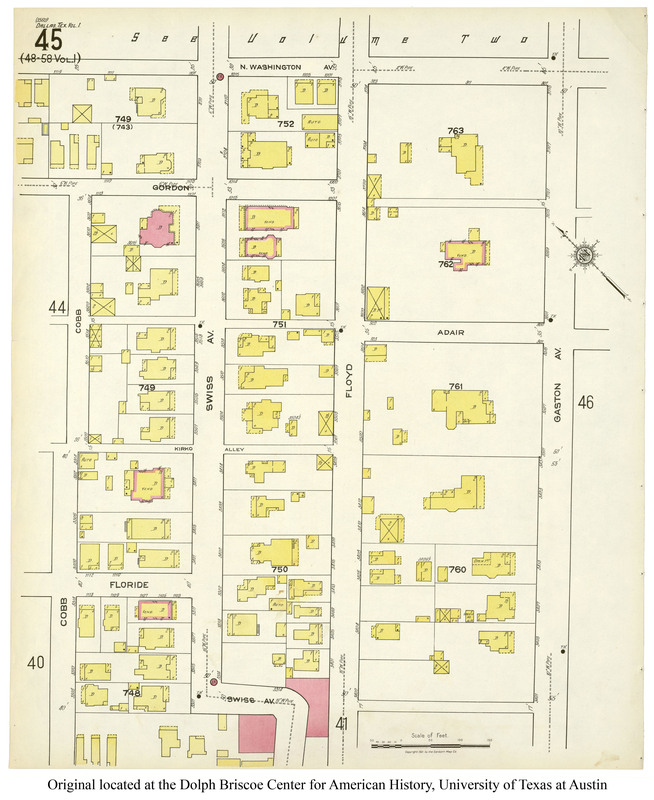 So, yeah, East Dallas was the stomping grounds of Bonnie and Clyde, back when they were living paycheck-to-paycheck and before they had begun their short-lived life of crime. Photos of the Swiss Circle building taken by me when I stumbled across it yesterday. I knew what it was when I saw it, but I didn’t really know much about it, other than the Bonnie connection. The building is currently vacant, currently for lease, and currently a weird shade of green. It’s a great space and a cool building. The back side is FANTASTIC! The surname of the property owner (or property manager) is rather unbelievably … Dunaway. The passage quoting Rose Myers, who worked at the Yates Laundry, is from the book Reminiscences: A Glimpse of Old East Dallas. A discussion of this building can be found on the Phorum discussion board, here. Other Flashback Dallas posts on Bonnie and Clyde can be found here. Click everything. See bigger images! the back side of the cafe building does not look fabulous at all. in fact, it looks derelict, while the front us ok. seems like false advertising/cheap , to have attractive facade, horrible back. typical. and no wonder whole thing vacant. and, not a bonnie/clyde fan. two murdering , blood-thirsty thugs. they slaughtered good people, so why encourage this ‘folk hero’ junk. but your columns are well-researched. I always see beauty in peeling paint and weathered exteriors of old buildings. For me, the back side of the building shows the history of a fairly inconsequential building which is, somehow, still standing after a century. In Dallas! I can perfectly imagine waitresses taking orders from workers across the street in a large industrial laundry. Old buildings really make the past come alive for me, and this one is just a quiet little unexpected gem. Thank you Paula for this article on my unique building on Swiss Circle. We have had numerous restaurants interested in the space and are narrowing down to just the right one. I did try to keep things as original as possible, but know a new tenant will clean things up a bit. There is enough “newness” in Dallas so am proud that this original structure still stands. It was recently featured on the History Channel in a segment on Bonnie and Clyde featuring Brian Unger. It has been one of the gangster stops on a gangster tour in Dallas. Thanks for doing your research and for your appreciation of it. Thanks, Diane. 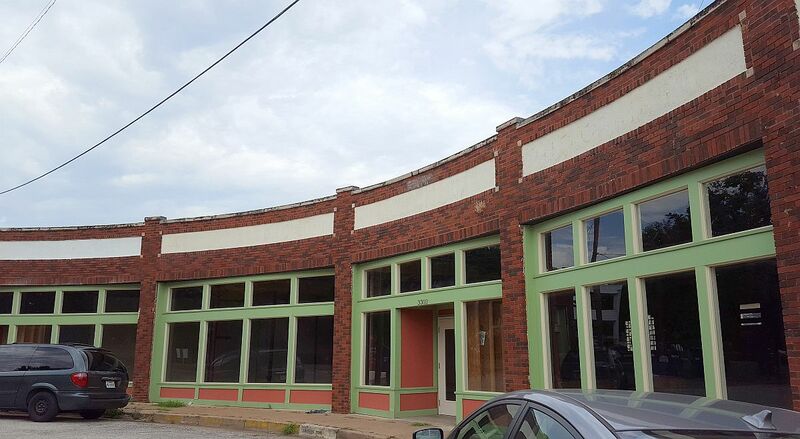 It’s just such a cool little building, with such an unexpected historical connection to Dallas’ past. Good luck with the property! Some people are textures people and some aren’t. I like your second and third pics a great deal, catty wampus down spout and all. For members of the flaking paint crowd the Coca Cola sign is right up there, B and C notwithstanding.Thanks. Very interesting article Paula and if my dad were still around I suspect he might have a story or two about this property. He grew up at 3109 Swiss just across College (later Hall Street). My grandfather lived at this address (originally 347 Swiss until the numbers were changed to four digits in about 1910) from 1885 until his death in 1953. I do remember during the early 1970’s there being a trailer hitch company in part of this building. They installed a chrome trailer hitch on my 1971 Ford LTD. Every time I drive by there I’m hoping someone has opened a restaurant so I can give it a try. Thanks for the history lesson on this location. Thanks, Danny. Let’s hope someone *does* open something in it soon! I have not read the Chili Blatney article in years. He and my Dad used to tell me stories about Clyde. Any you can share, Michael? I drive by this building 3 or 4 times a year as they are next door to my doctor (Baylor Hospital next door). I hope this is preserved and repurposed, and not torn down, that would be a shame, maybe a restaurant and coffee bar or some other such place. 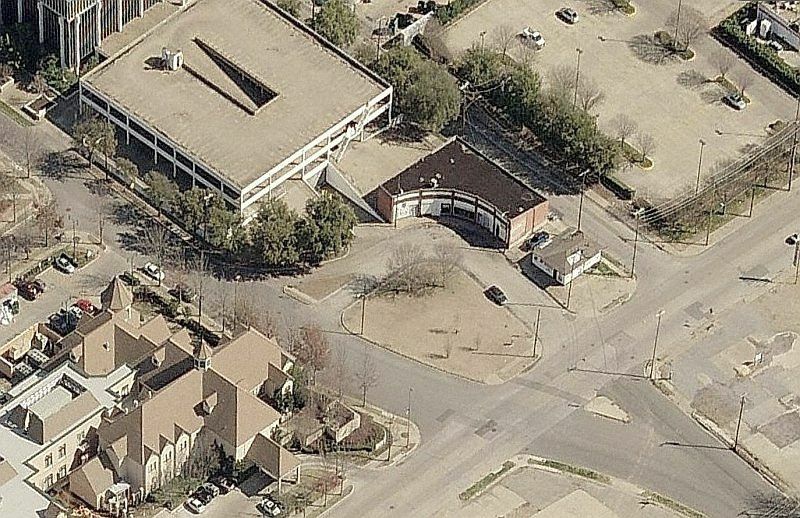 If I had the money, I’d buy it, it’s the perfect place for a Dallas historical venue. Think tourists and residents that never knew. It’s historical, a great location, AND it’s funky!